On December 2, 2015, a married couple, Syed Farook and Tashfeen Malik, carried out an ISIS inspired shooting at the Inland Regional Center where approximately 80 employees of the San Bernardino County Department of Public Health were attending a Christmas party and training event. Farook and Malik are responsible for the attack that ended the lives of 14 people and seriously wounded 22 others. Farook, a U.S. citizen, was also an employee of the county’s department of public health and attended the event at least two-hours prior to the shooting. During the event, Farook even posed for photos with his coworkers. In the midst of the attack, Malik pledged the couple’s allegiance to ISIS and its leader, Abu Bakr al-Baghdadi on Facebook. FBI investigators stated that the shooters were violent extremists who were radicalized by consuming “poison on the internet.” It was also confirmed that the couple expressed a commitment to jihadism and martyrdom in private messages to one another. On May 3, 2016, grieving family members of 27-year-old Sierra Clayborn, 31-year-old Tin Nguyen and 52-year-old Nicholas Thalasinos, joined other families of recent terror attacks, in filing a lawsuit against Google, Twitter and Facebook for providing material support to ISIS. The families are being represented by Keith Altman and Ari Kresch of 1-800-LAW-FIRM in Southfield, Michigan. Co-counsel is Theida Salazar of Burbank, California. The complaint asserts that without the defendants’ platforms, “the explosive growth of ISIS over the last few years into the most feared terrorist group in the world would not have been possible.” The complaint also includes intelligence that ISIS uses these platforms to inspire attacks and radicalize individuals. On June 12,, 2016, a man with an assault rifle entered a popular gay nightclub in Orlando, Florida and perpetrated what is now known as the deadliest mass shooting in US History. The attack, carried out by a 29-year-old American ISIS recruit named Omar Mateen, resulted in 49 deaths and 53 wounded. Mateen was radicalized by consuming ISIS propaganda that was readily available on YouTube (Google), Twitter and Facebook. He identified himself as an Islamic soldier and pledged his allegiance to the Islamic State while on a call with police negotiators during the Pulse Nightclub attack. Mateen was later gunned down by police officers at the scene of the attack. On December 19, 2016, the grieving families of three Pulse nightclub shooting victims filed a lawsuit naming Google, Facebook and Twitter as defendants for providing material support to the terrorist group, ISIS. On March 31, 2017, six more grieving family members along with four survivors joined the lawsuit. The lawsuit names the families of the late 23-year-old Stanley Almodovar III, 25-year-old Tevin Crosby, 22-year-old Juan Guerrero, 40-year-old Javier Jorge-Reyes, 19-year-old Jason Josaphat, 32-year-old Christopher Leinonen, 35-year-old Jean Carlos Mendez Perez, 24-year-old Christopher Sanfeliz, and 22-year-old Luis Vielma as plaintiffs. Included in the lawsuit are also four survivors of the attack, Asael Abad, Jillian Amador, Christopher Littlestar and Nicholas Perez. Representing the families and survivors are Keith Altman and Ari Kresch of 1-800-LAW-FIRM of Southfield, Michigan. The complaint includes intelligence that in addition to providing ISIS with a platform to radicalize, recruit and plan attacks, Google, Twitter and Facebook are using ISIS’ posts to create new content. This content is created by combining ISIS posts with advertisements selected by the defendants. Once these posts and advertisements are combined, this newly created content is being served to specific viewers who have a propensity towards that particular content. 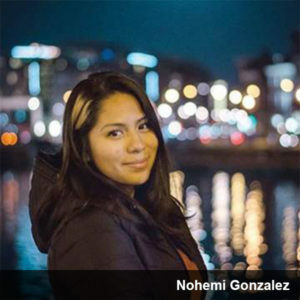 Among the 130 murder ed in the November 2015 Paris attacks was 23-year-old Nohemi Gonzalez. It was an act of terror that reverberated worldwide, both in unity for the victims and their families, and in fear of the fastest growing terrorist movement to date: ISIS. In recent years, ISIS has achieved a level of prosperity that would have been virtually unattainable without the aid of social media platforms, namely Facebook, Twitter, and Google’s YouTube. ISIS and other emerging terrorist groups depend on these Western social media platforms to coordinate attacks, recruit new members, disseminate propaganda, and raise funds. Together with 1-800-LAW-FIRM, Nohemi Gonzalez’s grieving father, Reynaldo Gonzalez, is bringing a lawsuit against said social media giants for providing material support that contributed to the wildfire growth of ISIS, and ultimately, to the murder of his daughter. As a platform for global communication, these social networks are used to organize and inspire acts of terror and violence, claiming countless innocent lives—including but not limited to those in Paris, and more recently in Orlando. What’s more, is that while they say they are making every effort to curtail this type of terrorist activity, Facebook, Twitter and Google still generate ads associated with these posts and collect the revenue. In at least the case of YouTube, part of that revenue may even be shared with the terrorists themselves through Google’s AdSense program. In June 2014, Reynaldo Gonzalez filed a lawsuit in federal court naming Google, Twitter and Facebook as defendants for providing material support to the terrorist group ISIS. This lawsuit alleges that the defendants knowingly permitted ISIS to use their platforms for recruiting purposes, spreading propaganda and raising funds to carry-out terror attacks. Defending Mr. Gonzalez are Ari Kresch and Keith Altman of 1-800-LAW-FIRM. Read the full complaint here. In the words of Nohemi Gonzalez’s grieving father, Reynaldo, “How many more innocent people need to die before Google, Facebook and Twitter are prohibited from making money off of terrorist propaganda? It is bad enough that I lost my daughter at the prime of her life, but to think that she died in vain is even more disturbing. I filed this lawsuit to save others from terrorists that rely on social media to plan their attacks on innocent people.” Though nothing can ever undo the tragedy that the Gonzalez family has endured, Gonzalez is hopeful that this lawsuit will prevent future tragedies in which Facebook, Twitter and Google are accomplices to ISIS. If you or someone you know was injured or killed in an act of terrorism, you may wish to explore your legal options. Our attorneys are at the forefront of this litigation and will fight for the justice you and your loved ones deserve. Complete the form on this page or call 1-800-529-3476 to speak with an expert.